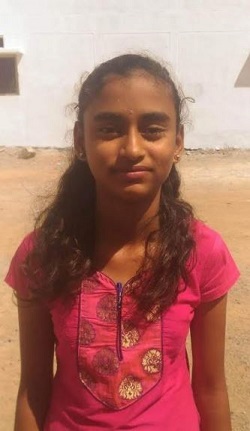 Hazira (STD V, 11 years) belongs to Guntur District, Andhra Pradesh. Her father Dariya died of Tuberculosis. Her mother works as a cook in Sphoorti Foundation.